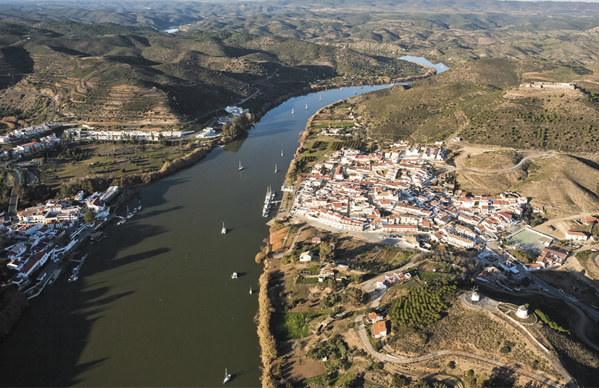 The waters of the Lower Guadiana form a natural frontier dividing Spain and Portugal and feature some exceptional natural, landscape and cultural values. The virgin landscapes populated irregularly by Mediterranean oaks and olive groves follow the border on a route that in times gone by was used by smugglers. The only smuggling today is of recipes with the smells and flavours from both sides of the river. The villages of Alcoutim and Sanlúcar de Guadiana, separated by the current of a long river, a point of reference in the turbulent past between the two countries, hold strategic, defensive positions for each country. Almost identical in their elegant whitewashed colours. They are positioned opposite each other on opposing banks of the river, making it hard to believe they belong to two different countries. Alcoutim has a long history dominated by the Arabs, Romans and Greeks. On Santa Barbara hill is the Velho Castelo de Alcoutim, whose origins date back to the 9th century with hardly any remains left today. The Castelo novo, built in the 16th century, rises on the crest of the village. In Ribeira de Cadavais there is a riverside beach which is perfect for bathing and boasts a blue flag. There is also a good choice of bars and restaurants. 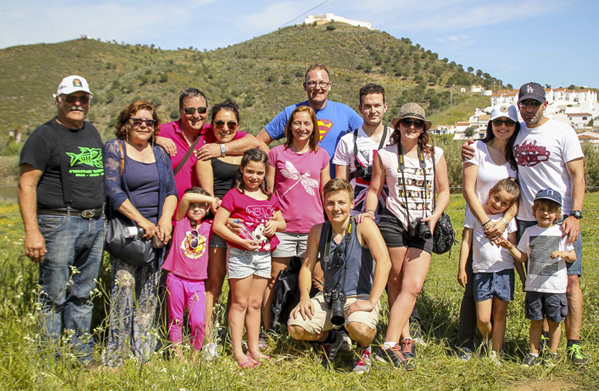 Sanlúcar is a picturesque village lit up by the whitewash of the houses, the twisting slopes, old mills and Nuestra Señora de las Flores church at the highest point of the village. There is daily activity at the small port and there is a riverside beach next to it. Castillo de San Marco, dating back to the 17th century is located at the top of the village and makes an ideal site for the beautiful panoramic views of the village and surrounding area. There are several bars and restaurants where typical regional dishes are served. 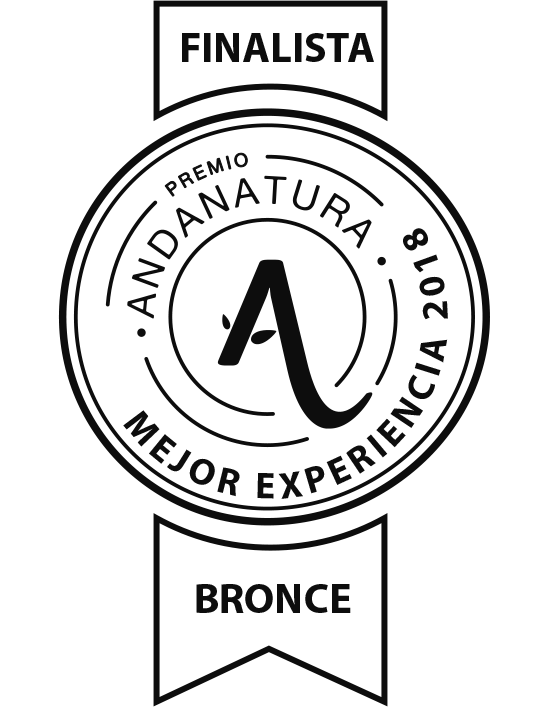 For hikers and mountain biking lovers there are the Natural Guadiana Routes, and very close to the Guadiana Trail, which runs along the former railway line that used to transport manganese from the mines to La Laja port. There are also boat trips along the river. When you get to the other side you will have gained 1 hour!